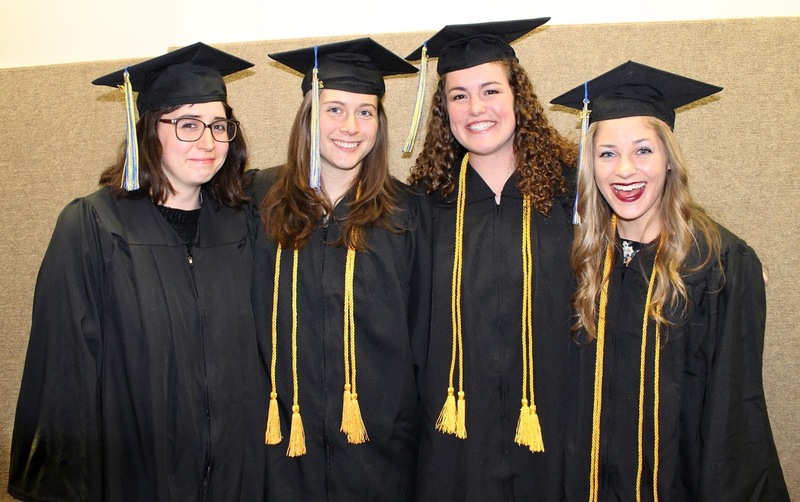 Twenty-five students with the School of Natural Resources and Extension completed their studies during the past year and many of them were recognized during the UAF commencement on Saturday. Dave Valentine congratulates Kelly Schmitz. 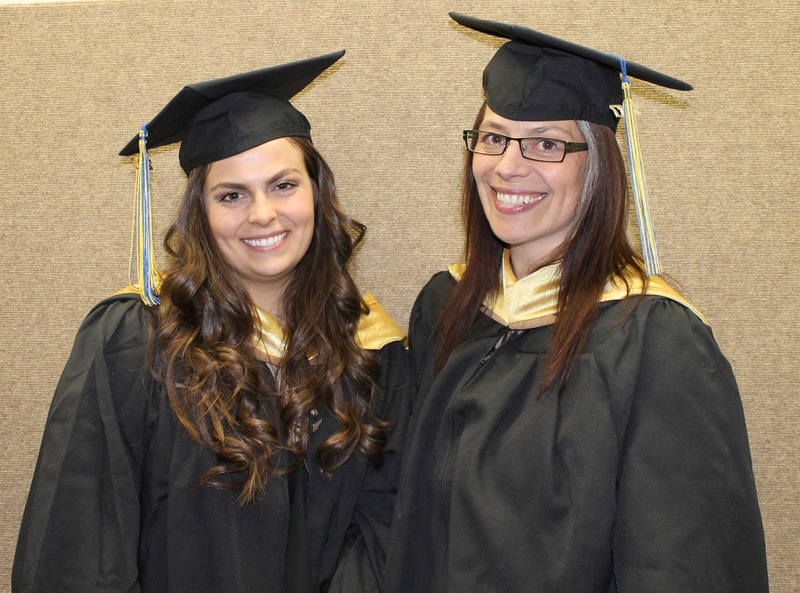 During the past year, students received two doctorates, 13 bachelor’s degrees and 10 master’s degrees. Miho Morimoto was hooded during last year’s commencement but she completed her doctorate in Natural Resources and Sustainability during the summer of 2017. 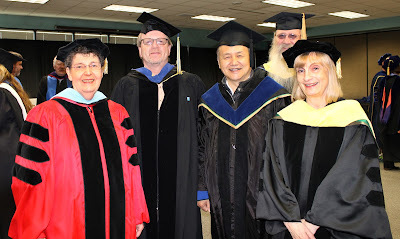 Miho Morimoto’s dissertation is titled, “Past, Current and Future Forest Harvest and Regeneration Management in Interior Alaska Boreal Forest: Adaptation Under Rapid Climate Change.” Her major advisor was Emeritus Professor Glenn Juday. 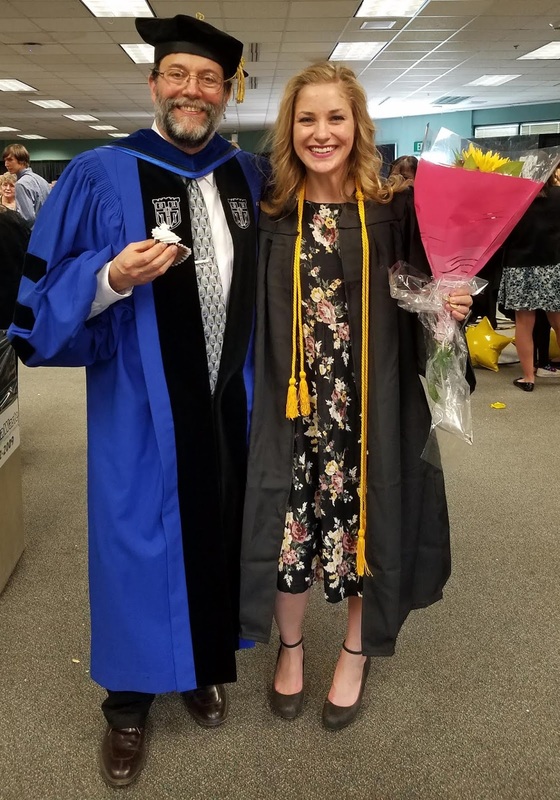 Her dissertation looks at how regeneration has worked on harvested forestlands and how regeneration might be affected by warmer, drier temperatures. It offers adaptive management suggestions. Jon Skinner, who was hooded on Saturday, received his interdisciplinary doctorate in Polar Geography and Strategic Studies. His major advisor was Professor Lawson Brigham. Skinner's thesis is titled “Russian Capacity to Develop its Offshore Hydrocarbon Resources in the Kara Sea: Arctic and Global Implications.” The Kara Sea represents the largest unexploited oil and gas potential remaining for Russia. include Belle of the Woods. Olivia Lunsford and Alice Orlich, who will earn their master's degrees this summer, also participated in the ceremony. 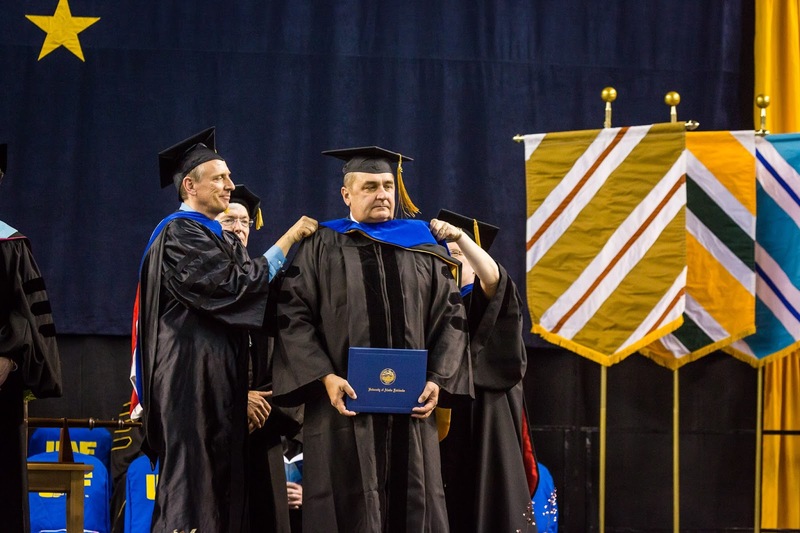 Professor John Yarie, who continued teaching forestry classes for the school despite retiring in 2016, was honored at commencement for receiving emeritus status and for his teaching, research and public service, which began in 1978. Yarie was honored for teaching forestry and nature resource management courses, for his research on boreal forest ecology and productivity and for his public service roles as director of the Forest Soils laboratory, department chair and chair of the regional section of the Society of American Foresters.